When you think of ramen, you probably remember flavorless cardboard-like bricks served with little silver salt bomb packets. These ramen shops are going to change that. Ramen is everybody’s favorite nostalgic indulgence. And at one point (or hundreds) in our lives, we’ve reached for the packet of instant noodles as a simple, quick-fix dinner. But ramen is so much more than that now; being served with exquisite, flavorful broths and toppings like roast pork, egg, seaweed, bamboo shoots. We think this was the food movement that everybody was waiting for. 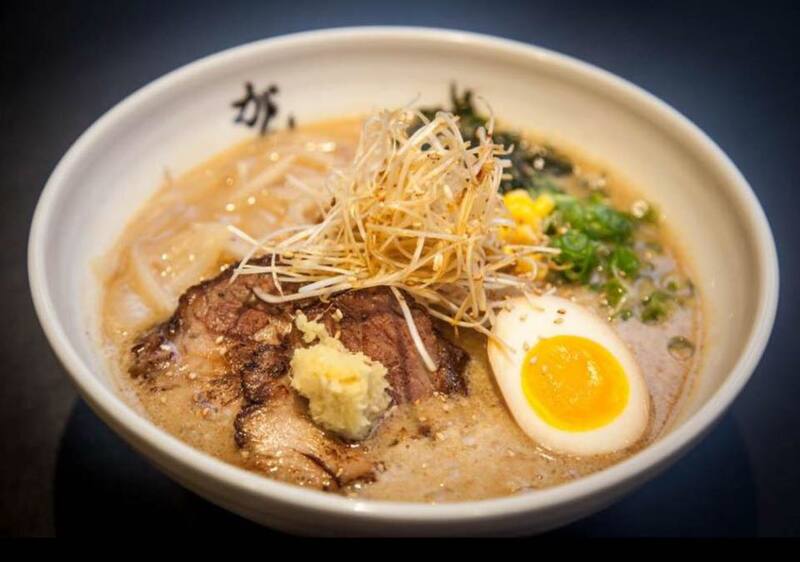 Now, ramen shops are popping up all around Boston. Lucky us — we can find these elevated Japanese noodle soups just about anywhere now. We love them all, but also have some favorite spots taking noodle bowls to the next level. Ganko Ittetsu Ramen serves Sapporo-style ramen: a noodle dish originating from the largest city on Hokkaido, Japan. The Sapporo ramen "magic" starts in the wok. Unlike the typical ramen cooking method of simply mixing everything in a bowl, Sapporo-style ramen's technique is to caramelize vegetables in the sauce by cooking them in the wok at a higher temperature, giving the ingredients more contact with the heat and bringing out deeper aromatic flavors. The secret to Ganko's ramen is in their miso. It's imported from an old Japanese micro-brewery, and turns their Miso ramen bowl into an absolute delicacy. The broth is flavorful and satisfying, and filled with tender fatty pork, sauteed bean sprouts, napa cabbage, wakame seaweed, corn, and a slightly soft-boiled egg; all served with Nishiyama Seimen’s noodles. It's beautifully crafted; fulfilling on several complimentary flavor profiles. *Ganko Ittetsu Ramen will be having a pop-up event featuring a guest chef from Japan on July 11-13th. When a ramen shop calls itself “Yume Wo Katare” —which means “talk about your dreams” in Japanese” — you know there’s going to be a lot of meaning behind those noodles. In fact, they may make all your dreams come true. After finishing your bowl of ramen, Yume Wo Katare encourages you to express your dreams by writing them down and hanging them on their "dream wall". It's their way of helping their customers overcome obstacles, and to achieve their goals. It's also a charming way to enjoy their food, which is already making all of our noodle dreams come true. We can't get our minds off of the pork ramen; especially the broth. it has an unforgettably indulgent rich pork fat flavor that is a real game-changer. Delicious. Filling. And so, so satisfying. Yume Wo Katare is closed for dining on Sundays and Mondays. Check out their Facebook page for updated schedules and specials. And don't underestimate the wait here; it can be up to 2 hours at times. A small price to pay for dreams coming true, if you ask us. Pikaichi is tucked away in a back corner of the Super 88; a real hidden gem. Small space; big flavor though. 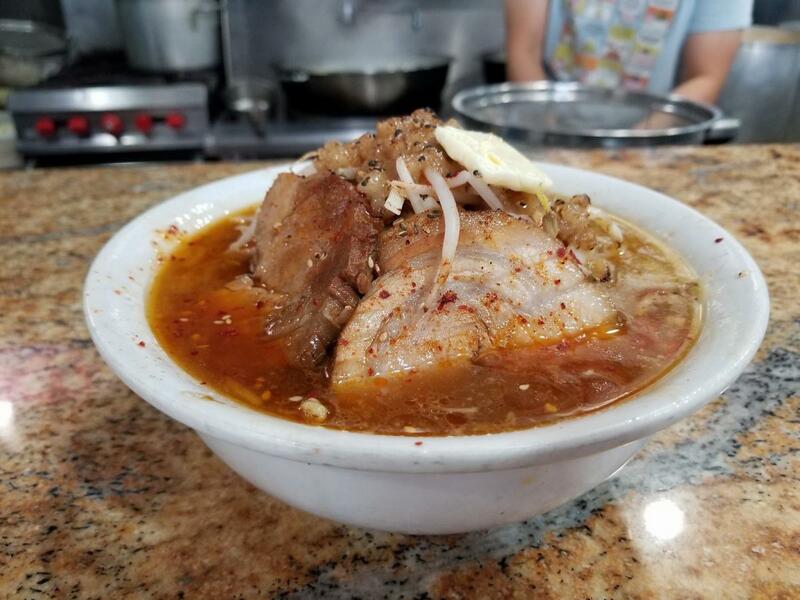 The shop really knows how to whip up a tasty broth, and offers up a variety of styles to choose from. 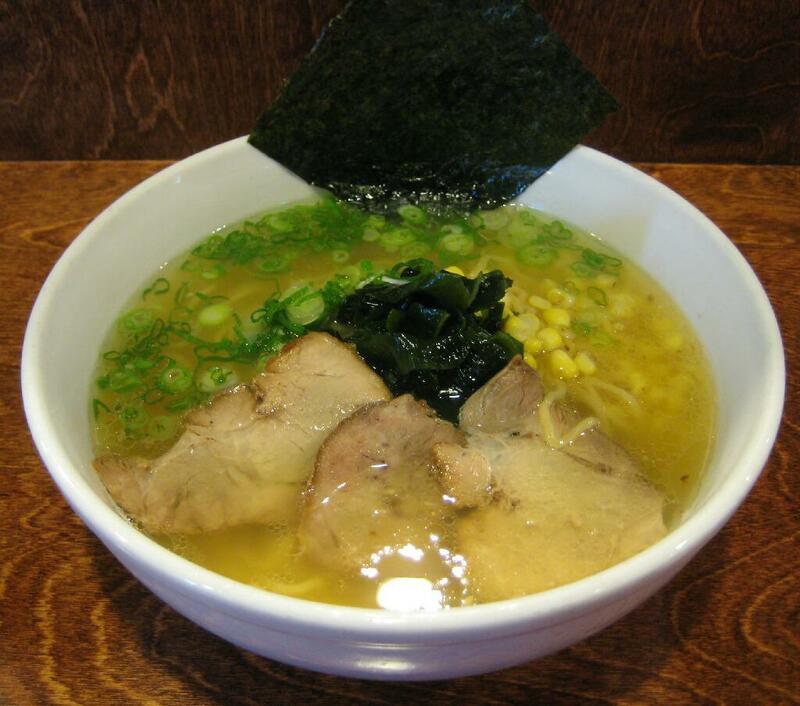 We like the Yuzo Shio ramen, made from two broths. There's the Yuzo; a Japanese citrus fruit that gives this dish an unforgettable lemony aroma. Then there's the Shio, which means "salt" in Japanese, and is a light clear broth made from chicken and pork bones. The broths are served with homemade noodles, and topped with tender sliced pork, corn, wakame seaweed, nori and scallions. It's a light, delicate, and fragrant blend of textures and flavors that comes in one of the biggest portions we received. We like to order ours with a side order of fried shrimp shumai or the fried tako ball (fried octopus balls with mayo and Tonkatsu sauce). It's delicious. It's ramen galore at Hokkaido Ramen Santouka in Harvard Square! This is one of the biggest shops in the area. But it wasn't always that way. They began as a single 9-seat ramen shop in Hokkaido, Japan with only one item on the menu: shio (salt) ramen. Now they're a global franchise, with two locations in Boston. Hokkaido Ramen Santouka is famous for sticking to their ingredients and methods to create a family-friendly ramen, using minimal salt and artificial seasoning, and makes all of their soup from scratch. 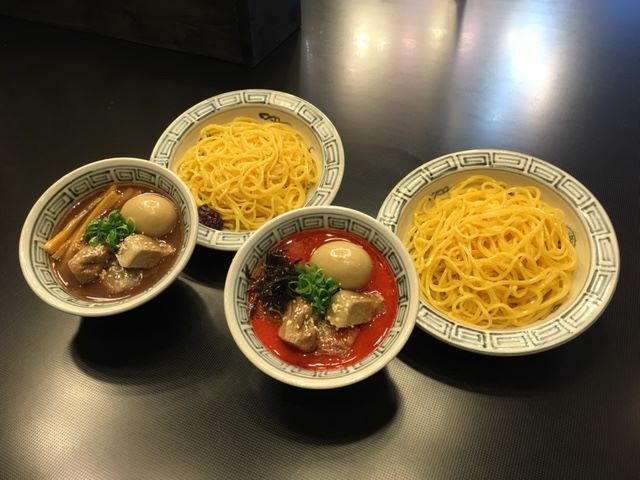 We love the Tsukemen or "dipping ramen". It's a cold, noodle-based dish that comes with a flavored dipping sauces on the side. It's a grab and dip eating experience that is fun for the kids, and is full of flavor that keeps the adults coming back, especially on hot summer days. If you've got your heart set on hot noodles, Santouka is also famous for its tonkotsu broth, made from pork bones braised for 20 hours. We order it with the ramen combo that includes shiyake ikura gohan (salmon rice with salmon roe) and hot crispy takoyaki (octopus fried dough balls).